In this new category Around Town, I will be featuring local businesses that are located around the community of Nunda. I was raised in this small town and I truly appreciate my fellow business owners and the value they add to our community. If you are interested in custom business portraits please contact me. The first local business I’m featuring is Crossroads Salon. Crossroads Salon is located at 1799 Main Street, Dalton New York 14836. 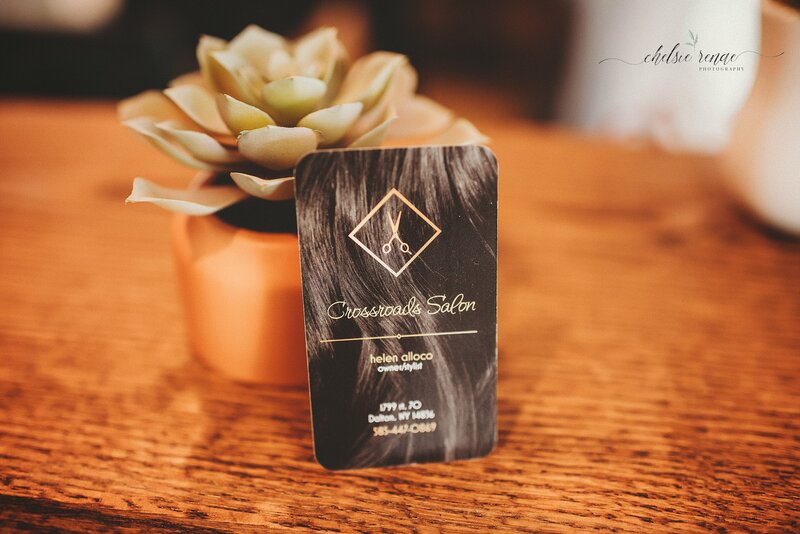 Crossroads Salon is new to our community, recently opened in May 2018. Helen Allaco is the hair stylist and owner, she has always known she wanted to own her own salon since she was a little girl. At Crossroads Salon you can enjoy cuts, colors, highlights, perms, waxing, and tanning. They also offer amazing nail services with nail technician Desirae Bugman. Helen has a special for all her new tanning customers, your first month is $30, regularly $35. Local business owners like Helen Allaco are what make living in this beautiful small town so special. Go check out Crossroads Salon and tell them Chelsie sent you.